With summer around the corner, you may be thinking of ways to bring some of those popular summer treats into your wedding. An ice cream bar would be a winner. Who doesn’t love ice cream on a summer evening, or afternoon for that matter? There are places that will rent an ice cream cart for your wedding event, some may even fill the cart with your ice cream flavors. You will need a server to spoon out the ice cream, and your guests can top their cones and sundaes with their favorite toppings. Your ice cream bar could also be the dessert for the evening or part of your midnight buffet. After an evening of dancing on a hot summer night, a cool ice cream sundae would hit the spot! Children and adults will both love it. A perfect conversation piece. 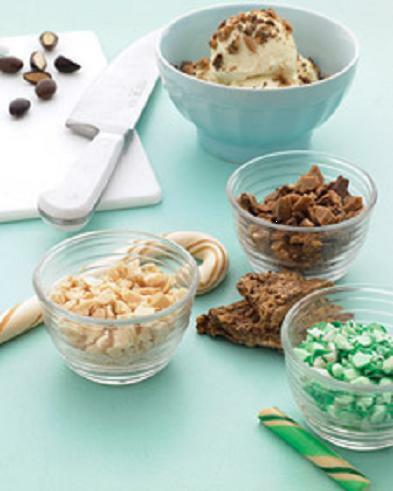 Have your guests talk of your wedding reception of months to come, create an ice cream bar. It’s cool and unique! That sounds amazing… How did you set this up? Any info would be appreciated.